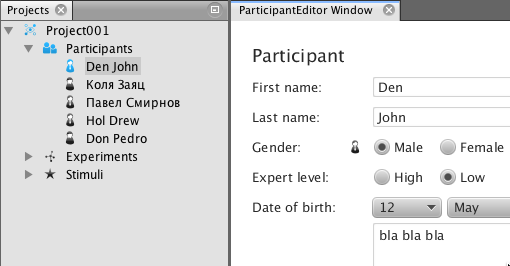 In this article I'd like to describe a solution to a problem that doesn't relate strictly to programming aspects of the NetBeans Platform, but more to user-related details, since programmers are also users. And in our case, they are users of the NetBeans Platform. One of the usual routine tasks we have with the NetBeans Platform is to create some Action or Window or to integrate a new File Type. For these cases, NetBeans IDE gives us pretty nice wizards. But usually when I create some Window, I have no idea about what the related icon for it will be. And I can even say that I shouldn't care, since it's the designer, not the programmer, who should care about icons. Therefore, when finally the suitable icon is found, you want to change icons for other windows too, but all of them lie randomly in various source packages. As a result, you waste time and need to find various files and place various images in various places. This is just a simple example to show you how "not programmers" scenarios influence the development process. Here is my approach to solve this situation. It is a simple and trivial Icon Manager but I hope that it could be helpful not only for me. "Copy the image linked above, or another 16x16 PNG or GIF, into the same package as the MyEditor class. Add the following method to the EventNode class." In this code ImageUtilities.loadImage loads icons only from the current module. You should be aware of the the icon folder in each module. Also you should also care about customization, such as image scaling and so on. Of course, you can do all the manipulation with Java2D in your Node class... but, you can do it even better and more efficiently with the Icon Manager that I describe below. The structure of Icon Manager is very simple by default. It consists of two packages, "icons" and "iconmanager". In the icons folder there are 12 sub-folders (black, blue, brown, green, etc.). They are icon sets with different colors, which is useful if you need to customize your UI interaction behavior. You can manipulate width size, relative path, and the name of the image. All images are cached. Yes, IconManager uses ImageUtilities.loadImage() to load the image. But it has its own image cache. The icons, by Sarfraz Shoukat via gcons project, are free for personal and commercial designs and applications. Published at DZone with permission of Paul Orlov . See the original article here.